Honey has been valued by the Greeks for more than 3000 years; it was the main source of nutrition for the immortal Olympian Gods and the heavenly gift offered by Zeus for the rebirth of the mortals. 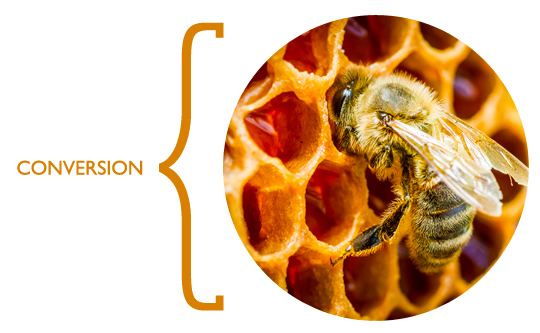 Whereas honeybees come from far lands there is something in Greek honey that cannot be matched…its essence…the godly spirit of Ambrosia. Following the path of the honeybees, Cycladia has embarked on the immortal journey of Ambrosia and you are welcome to join us. 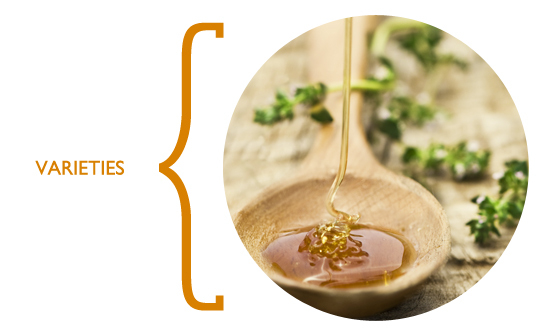 What distinguishes the Greek honey from other origins is its unique quality due to the exceptional climate of Greece and the natural splendour of the Greek soil. The great assortment of flowers, herbs and citrus trees provide the nectar of the Gods, which is inimitable due to its aroma, taste and thickness. There are 8 distinctive Greek honey varieties, fine quality thyme which is found nowhere else in the world covering almost 65% of the overall honey production in Greece, pine which is only encountered in some Mediterranean regions, fir, cotton, sunflower, heather, chestnut and orange blossom, all safekeeping the essence of the Greek land. 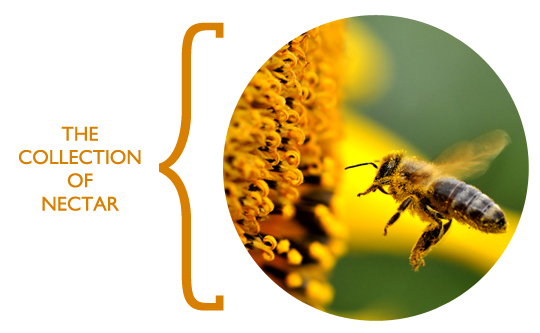 During spring, when flowers are in full bloom, the honeybees visit approximately 1500 flowers in order to collect their nectar while carrying the pollen grains from flower to flower, pollinating the flower in the process. 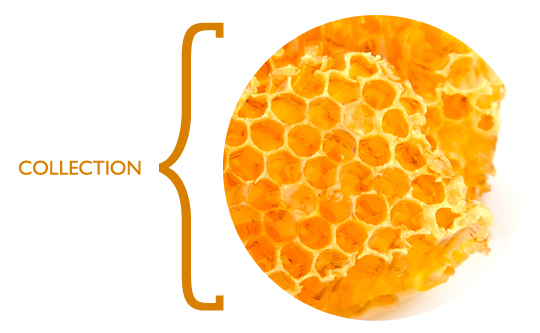 The nectar is stored in the bee’s honey sac and when the sac is filled the worker bee returns to the hive. Inside the hive the nectar is enriched with enzymes and then placed into the beeswax cells by the younger bee workers until the moisture level of the nectar is reduced to 17%. The fanning of the wings of hundreds of bees helps the nectar turn into a thick mater, the honey. Beekeepers provide their bees with a box full of frames where bees store their honey supply for the winter. As great workers, the bees store much more honey than what is needed for their survival and the extra honey is what is finally collected by the beekeepers. The frames are moved into the extractor and honey flows to its bottom from where it is later picked up by a pump and transferred to large tanks. The wax and other essences that rise to the top are skimmed off. 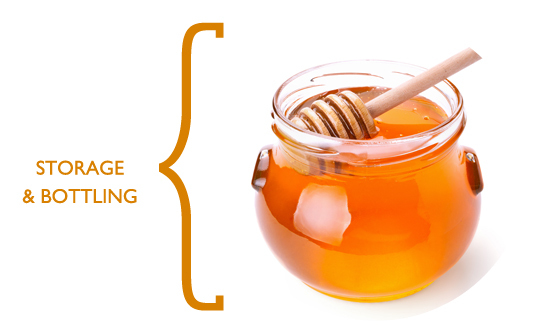 When the honey is all set it is stored in large barrels until it is ready to be bottled. The honey is bottled in metal or glass jars and distributed to all local, national and international markets. 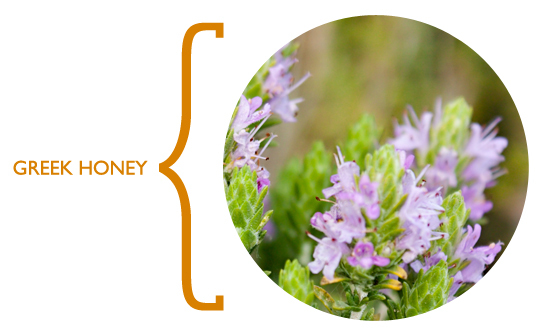 Honey offers positive nutritional and health effects, it is used in gastronomy and it is a healthy natural sweetener. 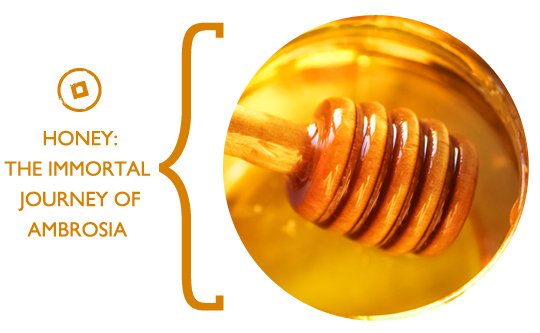 Since ancient times, honey played a significant role in many religions as it was considered the food of immortality thus used in rituals and ceremonies. 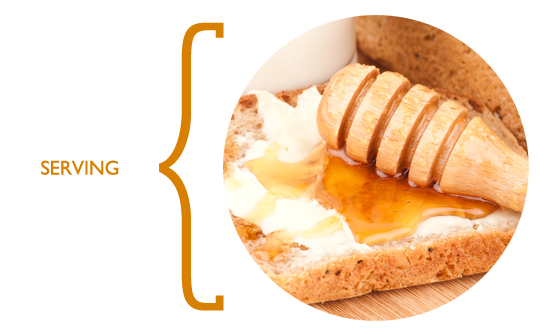 Honey is served as a spread on bread; it is added in tea, in pies and baked sweets. It is also used in dressings for food and salads and in cosmetics. 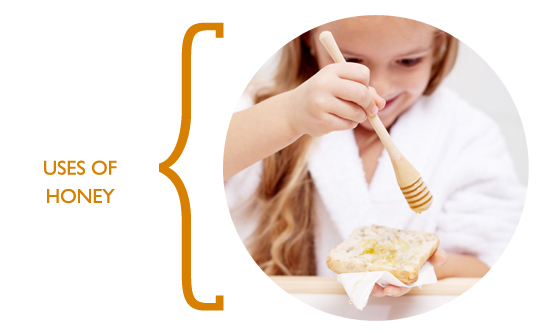 Or you can simply dip your spoon into the honey jar and enjoy a spoonful of honey as a sweet treat or an energy boost! Now that we have mellowed your day, we welcome you to follow the immortal journey of Ambrosia to Kythira, Agion Oros in Halkidiki, the verdant island of Thassos as well as the rest of Cycladia’s destinations and live a life as sweet as honey itself. This entry was posted in Culture, Cycladia Posts, Destinations, Gastronomy, Halkidiki, Kythira, News of Cycladia, Thassos, Tourism Insight. Bookmark the permalink.